With the new DIY wave many women are doing everything themselves, and when they decide to visit a salon, they may be unaware of how damaged their hair is. The primary complaints I encounter in the salon setting from women who have not visited a salon in a while, especially after going natural are “My hair is dry” or “My hair is not growing.” When women feel like their hair is not growing, I explain that the hair will always grow as long as they are living. Therefore, if they feel as if their hair is not growing past a certain length, the hair is breaking and we have to investigate why. I have found that these complaints are often a result of the misuse of conditioners or heat styling tools that can create different forms of damage. When a client complains about dry hair, I immediately ask about their current hair care regimen. The most common products that are over used or misused are moisturizing conditioners and leave-in conditioners. Leave-in conditioners were designed as a “quick fix,” meaning they should be incorporated into your hair care regimen when you don’t have time to deep condition your hair. There are different types of hydrolyzed proteins found in leave-in conditioners that are designed to increase the hair’s strength, flexibility, and shine. When leave-in conditioners are used on a regular basis you may find that the hair feels dry and brittle. This is because the hair is predominantly made of protein that provides the hair with strength and structure. When you apply too much protein on the hair it causes the hair to harden. As a result, the hair feels dry and when you manipulate the hair for styling, it breaks easily. Therefore, leave-in conditioners should only be used occasionally. The other extreme is when women over condition their hair with moisturizing or softening conditioners. It is important to deep condition your hair on a regular basis to maintain a proper moisture balance. When I talk about deep conditioning, I am referring to the process of applying a moisturizing conditioner to the hair; distributing it evenly with the use of a wide tooth comb or brush; and incorporating the use of steam or heat for at least 10 min., but no more than 30 min. for deeper penetration of essential proteins and moisturizers into the hair shaft. I would consider this the “proper” way to deep condition the hair. The misconception many people have about conditioner is that if they leave it on longer than the recommended time their hair will get more benefits, but this is not true and there are ways in which you can over-condition the hair. 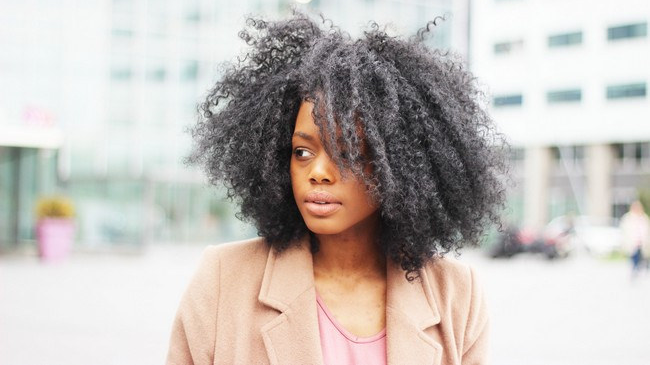 Many women deep condition their hair by leaving the conditioner on overnight or even for a whole day. Unfortunately, the hair can become deficient of the structural protein it requires to stay strong and result in a soft, mushy mess. The hair will feel limp and weak, become extremely elastic, stretch, and eventually break. Most women who choose to wear their hair in its curly state do not use heat styling tools. If they do, it is very minimal and it is with a blow-dryer. The mistakes some women make when using a blow dryer are not protecting the hair from the heat with light essential oils or making the blow-dryer too hot. Each shaft of the hair has about 7 to 12 layers of cuticle scales. Their job is to protect the inside of the shaft, known as the cortex. Excessive use of heat will create cracks and damage to the cuticle. The damage caused by heat styling includes blistering and fracturing of the hair. Microscopic examination of the hair shows small nodes seen as grey-white or yellow specks on the affected hair shafts. The hair tends to break at the sites of the nodes, leading to patchy breakage. Don’t over condition the hair- One of the main sources of hair damage is dryness. The regular use of leave-in conditioners causes the hair shaft to become dry, brittle, and susceptible to breakage. Make sure you are using a moisturizing shampoo and deep conditioner. When conditioning your hair, leave the conditioner on at least 10 min. but no more than 30 min. and incorporate steam or heat for deeper penetration of the hair shaft. Most importantly, occasionally visit a licensed hairstylist that you trust to provide you with information on how you can improve your routine at home and offer you in-salon treatments that will enhance the health of your hair. This article is written by Dr. Kari Williams. Dr. Kari is a licensed barber, professional hair designer & stylist, natural hair care specialist, educator, hair care products consultant, board certified trichologist through the American Association of Drugless Practitioners, and the Founder & CEO of Mahogany Hair Revolution Salon & Trichology Clinic. She is the current President of the California Board of Barbering & Cosmetology, appointed by Governor Jerry Brown in 2013. Dr. Kari is also the Creator and Co-Founder of AnnCarol, a line of products formulated to achieve and maintain healthy hair. Her products can be purchased at www.anncarolproducts.com.